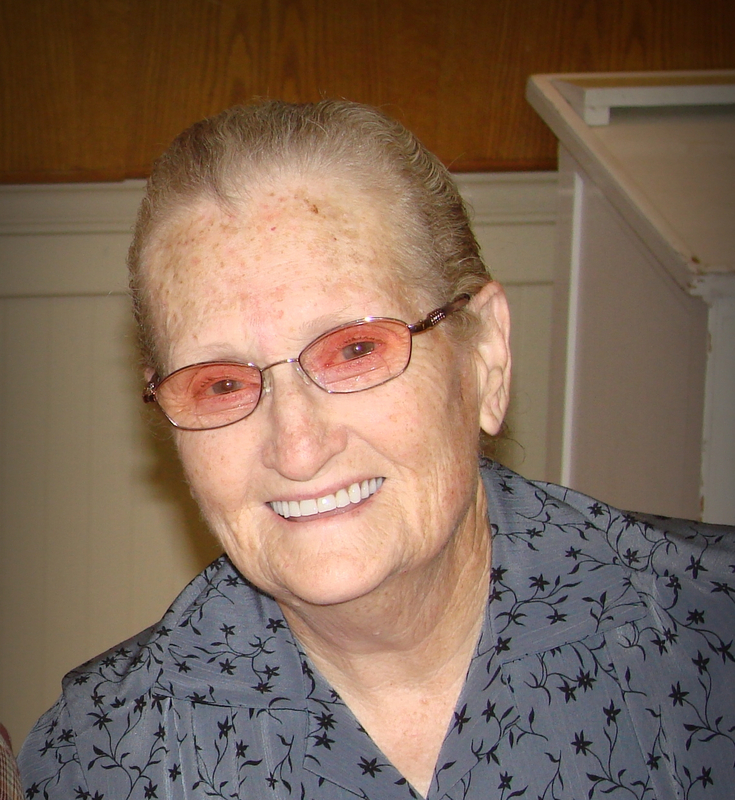 Services for Eula Calhoun Choate, 85 of Marble City, Oklahoma will be at 1:00 PM on Monday, February 11, 2019 at Calvary Temple Church in Sallisaw, Oklahoma. Burial will follow at Choate Cemetery in Marble City, Oklahoma under the direction of Agent Mallory Martin Funeral Service, Inc.
She was born on June 12, 1933 in Brent community, Oklahoma to Manervia Abigail (Jackson) Calhoun and Evert Byrd Calhoun and passed away on February 7, 2019 in Marble City, Oklahoma. She was married to Bill Choate on August 6, 1953 in Sallisaw, Oklahoma. He preceded her in death on June 15, 2011. Mrs. Choate was a homemaker and a faithful member of Marble City Free Holiness Church. She was known as the most selfless loving mother and Nana. Her home and table was always open to everyone. She never met a stranger and no one ever left her house hungry. She was a mama to all who knew her and her house was a haven for many. 1 brother: Ralph Calhoun and Diane of Clinton, AR. She was preceded in death by her husband; 1 daughter: Latricia “Punkin” Choate; 1 son in law: James Tubbs; 1 great grandson: Derick “Rhett” Cottrell; her parents; 2 sisters and 5 brothers. Active pallbearers will be Trent Campbell, Matthew Burnett, Luke Roberts, Clay Choate, Isaac Wallace, Derick Cottrell, Josh Choate, Dakota Choate, Colten Burnett and Tucker Roberts. Honorary pallbearers will be Steve Connelly, Barney Connelly, Mike Connelly, Robin Connelly and Bruce Connelly . Viewing will be 10 am – 8 pm Saturday, 2 – 8 pm Sunday at Agent Mallory Martin Funeral Home in Sallisaw, OK where the family will greet 4 – 6 pm Sunday. Special thanks from the Choate family to Peters Agency who went above and beyond and Bethany Kimble who is more than a nurse, she is family.